Despite a plague of issues during the live event, Pokémon Go players will soon get a chance at a rare monster. 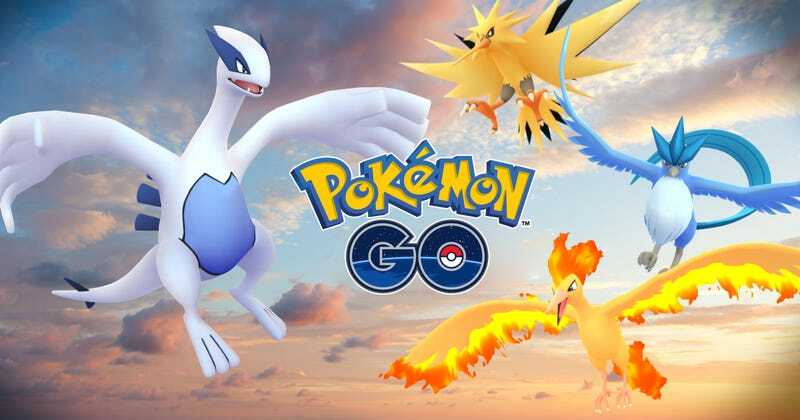 Fest attendees all get legendary Lugia in their accounts tonight, and players worldwide will start seeing Lugia in raid battles within the next 48 hours, Niantic announced. That’s not all. Niantic has been tracking individual team’s contributions to the overall “Mystery Challenge” that’s been running during today’s big event. Team Mystic won the whole thing, and so the second legendary monster will be Articuno. No word yet on when Articuno will be available, though. No surprise that Mystic won, though: they are the biggest team, after all. Lugia may not be active yet, but we do know that it will be a Flying / Psychic type, so get your counters ready! The raid battle, and consequent capture attempts, are likely going to be tough. Still, this is great news: earlier today, many fans were worried that the rocky Fest launch meant that players wouldn’t be able to unlock legendaries at all. For those of you preparing, as predicted, Golem and Tyranitar are particularly well-suited for a match-up against Lugia. If you don’t have those, do note that Lugia takes extra damage from electric, dark, ice, ghost, and rock-type moves. Good luck, trainers.